Three countries sign deal amid fears that dam being built by Ethiopia would reduce water supply to Egypt and Sudan. 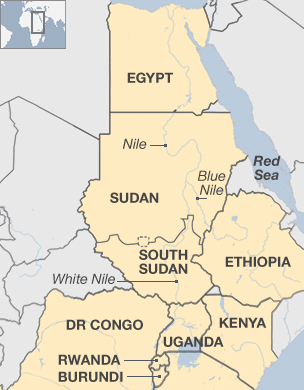 Egypt, Ethiopia and Sudan have agreed on a preliminary deal on a controversial dam project that Cairo feared would reduce its share of vital waters from the Nile river. The leaders of Egypt, Ethiopia and Sudan all gathered in Khartoum on Monday to sign the agreement of principles on Ethiopia’s Grand Renaissance Dam project. “I confirm the construction of the Renaissance Dam will not cause any damage to our three states and especially to the Egyptian people,” Ethiopian Prime Minister Hailemariam Desalegn said at the signing ceremony. Egypt, heavily reliant on the Nile for agriculture and drinking water, feared that the dam would decrease its water supply. Egypt’s President Abdel Fattah el-Sisi said that “this is a framework agreement and it will be completed”. Sisi said the final accord will “achieve benefits and development for Ethiopia without harming Egypt and Sudan’s interests”. Sudan’s President Omar al-Bashir hailed the deal as “historic”. The agreement is made up of 10 principles, Egypt’s Water Resources Minister Hussam al-Maghazi told the AFP news agency. The countries agreed on the “fair use of waters and not to damage the interests of other states by using the waters”. They also agreed to establish “a mechanism for solving disputes as they occur”, Maghazi said. He gave no details as to when the final agreement would be signed. Sudan’s deputy water resources minister, Saif al-Din Hamed, said the signing of the agreement “will not stop the current construction and building” of the dam in Ethiopia. Ethiopia began diverting the Blue Nile in May 2013 to build the 6,000 MW dam, which will be Africa’s largest when completed in 2017. Ethiopian officials have said the project to construct the 1,780-metre-long and 145-metre high dam will cost more than $4bn.